It's really cold out now and Spring seems a long way off. Although it might seem rather soon to be thinking about the new season's fashion and makeup, Karl Lagerfeld presented his CHANEL Haute Couture Spring/Summer 2019 Collection in Paris yesterday and the new CHANEL Spring makeup comes out in the shops this week. For me, these events are my wake-up call to begin planning (and perhaps buying a few new things) for Spring. My first "pre-Spring" buys are often sports/athleisure pieces. There are two good reasons for this. One is that they can be worn all the year round and layered, or unlayered, according to the weather. The other is simply that easy sports/athleisure style is my daily "work uniform" and by now it's all getting a bit jaded and some pieces are worn out. Just a couple of new season's pieces and some new trainers can make all the difference! The short black sweatshirt in the photo above is from H&M's Divided section. It is made in a lightweight 60% Cotton, 40% Polyester fabric with ribbing around the round neckline, cuffs and hem. 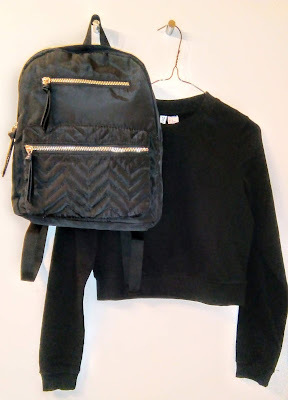 I fell for the Primark backpack as soon as I saw it! Made in a lightweight black polyester material, it will be an easy to carry workbag. The main compartment is spacious for larger items, whilst it will be easy to find smaller items in the two zip-up front pockets. The lower front pocket is finished with an attractive chevron-patterned quilting. 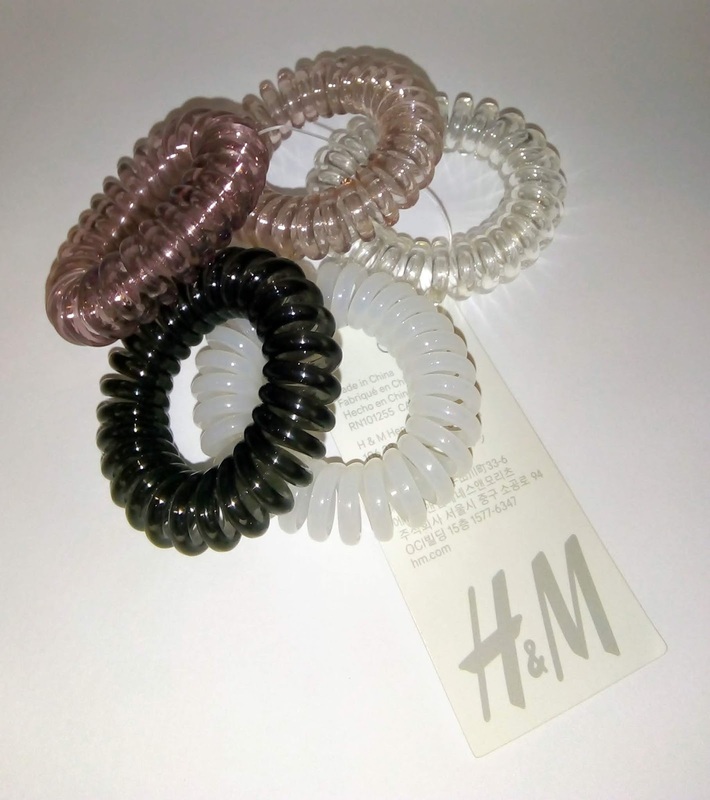 Then I saw this pack of pony tail bands in H&M. I thought instantly that the colours and the transparency of the bands were just right for Spring. I think they can be worn as bracelets too, with sporty, casual pieces. That's my first new season's shop over! WHAT NEXT? I shall be looking at lingerie, new trainers and new "limited edition" Spring Makeup.